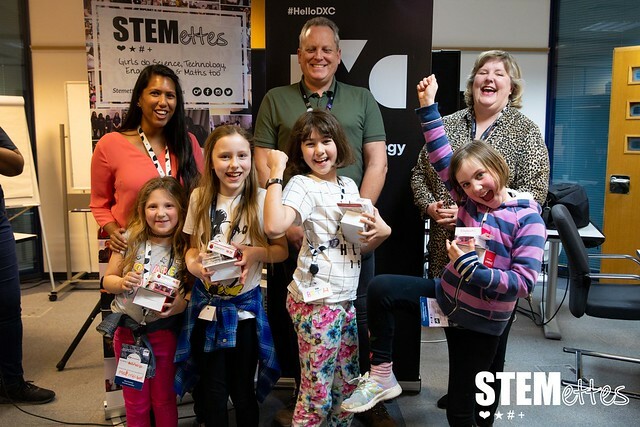 We commenced February half term with a trip over to Chorley for a STEMtastic weekend with DXC Technology! 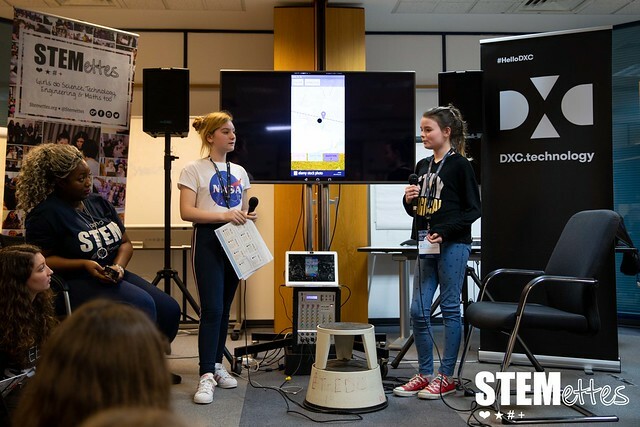 On Saturday 16th and Sunday 17th, DXC Technology hosted ~60 girls and young women for a 2-day hackathon Stemettes style! After some icebreakers, the girls knuckled down to work on their apps using HTML, AppShed and App Inventor. The brief was to create apps relating to health – the girls got very creative with their ideas; one app was called SJA (Star Jump App) that helps users monitor their exercise e.g. count how many star jumps you did, how long for etc. Once our app designers were finished, they got ready to present to their peers. Our judges were blown away by how confident the girls were and how innovative their apps were! A round of applause for DXC Technology for once again partnering with us to create such a fantastic event! To keep up-to-date on our upcoming events, head to our Eventbrite! We captured all the fun on our Flickr!